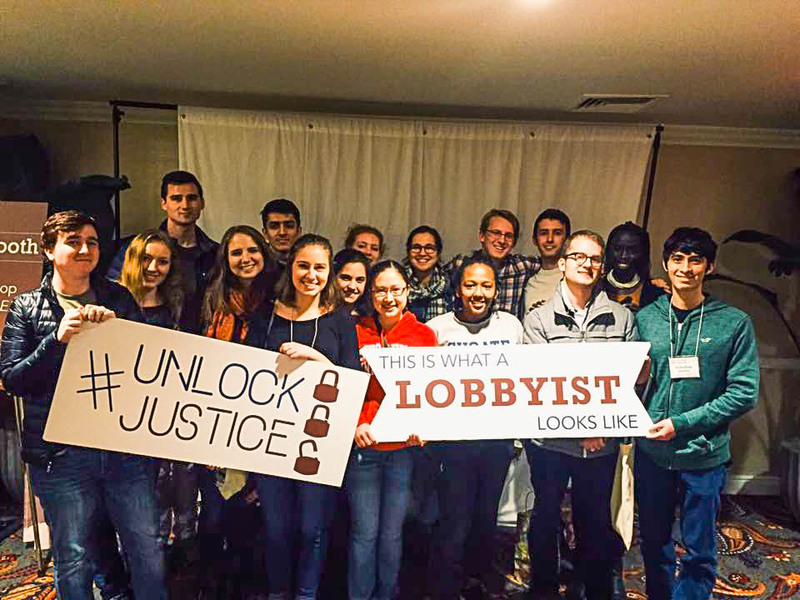 On Monday, March 14, a group of about 400 students, several of them from the University, met in a Washington, D.C. hotel, prepared to lobby the U.S. Senate and House of Representatives to pass a set of federal criminal justice bills. Many of the students were supporters of Senator Bernie Sanders (D-VT) in his presidential campaign against Hillary Clinton. When one person said she was lobbying the office of the Vermont senator, a large portion of the audience cheered. But the event had a far different figure visiting: a Republican, a pragmatist, and a supporter of bipartisan, gradual reform. The students applauded as Senator Chuck Grassley (R-IA), the chair of the Senate Judiciary Committee, took to the podium and argued in favor of the Sentencing Reform and Corrections Act of 2015, a bill he had sponsored. Grassley and the students in the room were there for Spring Lobby Weekend, an annual weekend lobbying event in Washington, D.C. held by Friends National Committee on Legislation (FCNL), a Quaker lobbying organization. From March 12 to March 15, the students learned about three criminal justice reform bills currently in Congress: The Sentencing Reform and Corrections Act (S. 2123), The Sentencing Reform Act (HR. 3713), and The Recidivism Risk Reduction Act (HR. 759). They also received advice about how to lobby Congressional offices, and lobbied Senate and House offices themselves. The idea to have a large group of University students take part in this weekend came from Caroline Monahan ’16. She had been to two of the FCNL’s Spring Lobby Weekends previously. When she learned that the topic this year was mass incarceration, she decided to encourage students to apply. Monahan then advertised for students to join on WesAdmits and through Wes for Peace, a student group that she created last year with Cyrus Nury ’16. 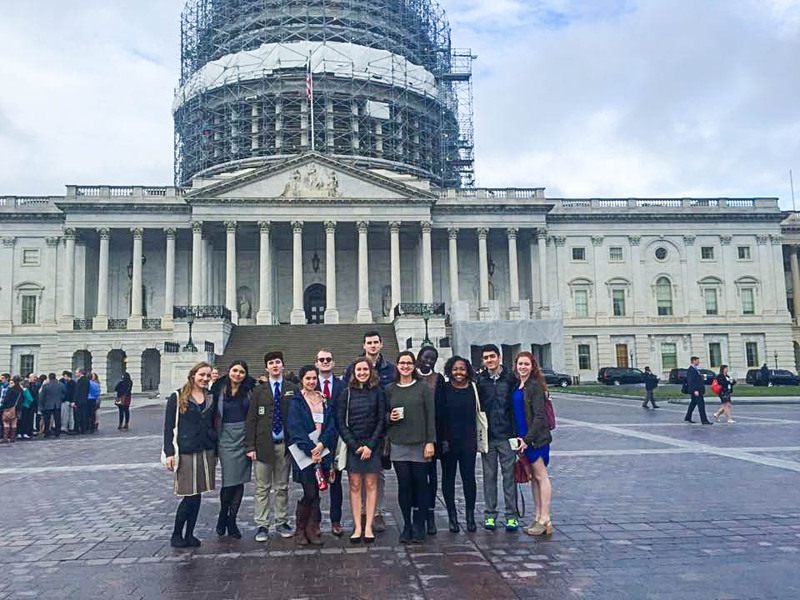 Monahan and Nury applied for and received funding from the Green Fund, which allowed the group of 17 students to travel to and stay in Washington, D.C.
Students at the event were given advice about how to approach lobbying offices of officials with varying political views. The Sentencing Reform and Corrections Act gives judges some discretion in handing out mandatory minimum sentences, so it was suggested to students who were lobbying Tea Party members to refer to current laws as “big government on autopilot,” as Senator Mike Lee (R-UT), one of the Sentencing Reform and Corrections Act’s co-sponsors, apparently described criminal justice laws in this manner. Students who were lobbying Senators who co-sponsored one of the bills were told to press the lawmakers to get more support for the bills. The bipartisanship central to these efforts was mostly absent in the advocacy by University students. Those who attended the event mainly reached out to the offices of Connecticut legislators, although a few lobbied the offices of those from different states. The Connecticut legislators whose offices they lobbied—Senator Chris Murphy, Senator Richard Blumenthal, Representative Rosa L. DeLauro, and Representative Jim Himes—are all Democrats. None are co-sponsors of any of the bills, nor were any suspected of opposing any of the bills. Still, on Monday, the day before many of them lobbied congressional offices, many of the students were still nervous. 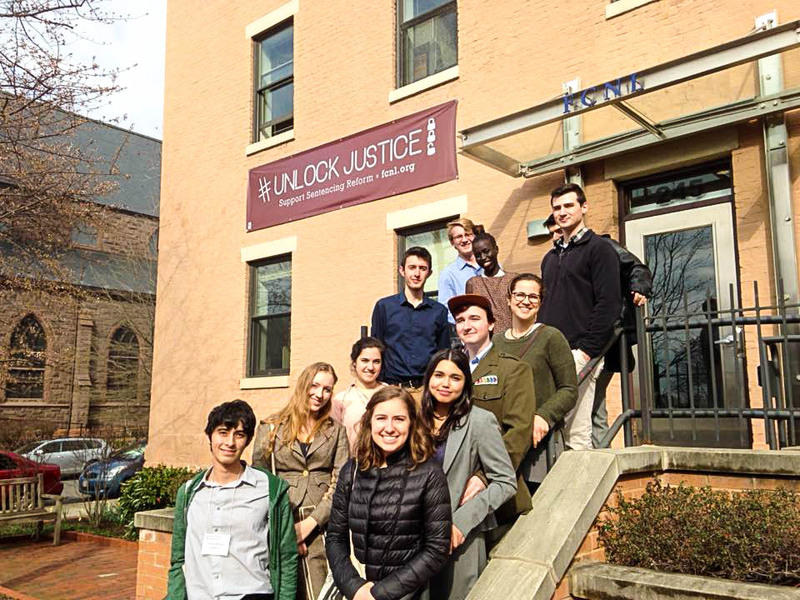 Nyanen Deng ’18 expressed concern about taking her theoretical knowledge of problems with mass incarceration and turning them into a compelling, personal pitch—the kind of pitch that lobbyists, the students were told by staff members of FCNL, like to hear. One other student found himself having to talk with a legislator with whom he has had intense disagreements. Will Bosha ’19 had previously contacted Himes asking about his stance on the Trans-Pacific Partnership. When Bosha learned that Himes supports the trade agreement, he asked the representative to resign. Yet the day of the lobbying, Himes immediately gravitated to Bosha. Bosha wrote that the meeting went well and that Himes did not appear to remember him. He added that the lobbying events were successful. “Many of us ended the day with a reignited hope for the future of American democracy and the fight against mass incarceration,” he wrote.